After concluding an exciting season of Bigg Boss, Salman Khan will return to the small screens with the upcoming season of the show Dus Ka Dum. 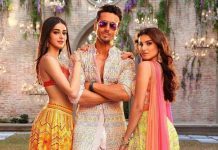 The makers of the show recently unveiled the first teaser of the show which will be aired on Sony TV with the third season. The nine second teaser of the flick has shown Salman asking the audience when and where is he returning on the small screen and continue guessing it. However, the teaser did not talk about the game show but has increased the curiosity of the audience, who have been missing the superstar on the small screens. Salman managed to win hearts as the host of the reality show Bigg Boss. The upcoming game show will feature commoners and a few celebrities. The next teaser of the show will reveal audition details. More reports have revealed that the makers of the show have also made a mobile app which will give the audience a chance to be on the show. The app is soon expected to be released. Salman Khan will be returning with the show after a gap of ten years. Talking about the remuneration, the actor will be paid a whopping price of Rs. 3 crores per episode. Salman is currently working on his upcoming film Race 3.